Cesar and Nelly are nearly finishing their long term mobility in Berlin. 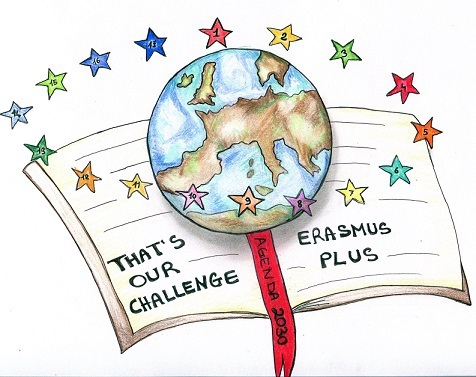 Time has passed fast and now they are tasting their last days there and waiting for the rest of the Erasmus + students. A very useful action took place thanks to the Hellenic Rescue Team (EMAK), in order to inform our Erasmus students about its work in cases of emergency, such as fire, earthquake, storms etc. 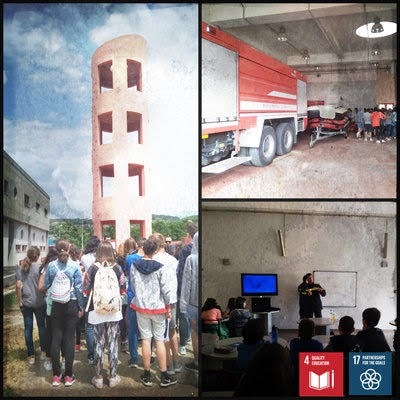 The administration and staff of the Fire Department of Ioannina informed us about the hard work of firefighters – rescuers and about the methods and tools they use, while our students had the chance to participate in the simulation of such circumstances in school, according to Goal 4: Quality Education and Goal17: Partnerships for the Goals! 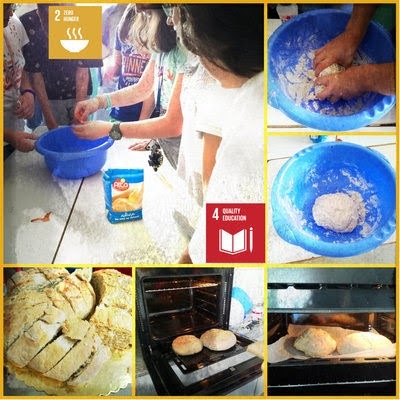 Our Erasmus students combined their knowledge about tradition with their cooking skills and experienced the process of bread production through practice in our school unit. "Wheat & Bread" are valuable ingredients, basic even for the poorest families, characterize the Mediterranean diet and go back to ancient times. So, we all got engaged in various natural raw materials, got acquainted with traditional techniques and created tasty bakery products, in a mood full of educational messages and joy of experience. 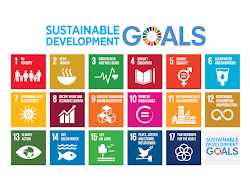 All of our school mates and teachers later tasted them and congratulated us for our initiative, in the context of Goal 2: Zero Hunger and Goal 4: Quality Education! Sports days indoors or outdoors school are favourite days for students of all grades. This special day, we organized a sports event for our Erasmus+ students presenting new sports to them, like hockey for example, which is not very common in Greece. 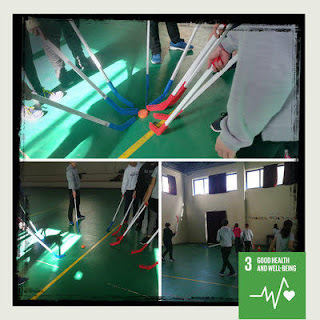 They eagerly took part in the competitive sporting activity and practically served Goal 3: Health and Well-Being, in a teamwork that tried to improve their physical exercise and form, while getting them to know that there are no boundaries in the sports spirit worldwide.